From RS232 cables, RS232 Adapters, Honda Cables, RS232 Testers, & more, Shop Floor Automations has your custom cabling solutions! We can sell you 25 Foot to 100 Foot cables off the shelf, as well as make custom cables from 125 Feet up to 300 Feet in length. Browse our cable solutions, or contact our sales department if you need something bigger or smaller than is listed. Call us Toll-Free at 877-611-5825 – we are here to help! 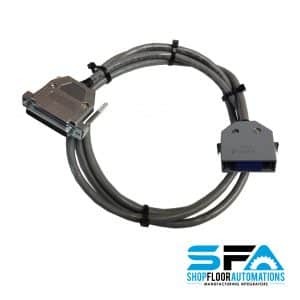 High quality, application specific RS232 serial cable is an essential component in any reliable shop floor communications network. 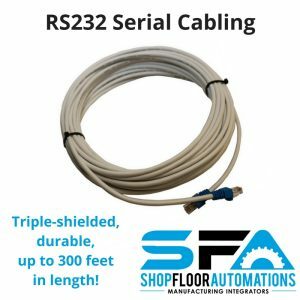 For those of you who may have had the misfortune of re-stringing thousands of feet of cable to combat noise and data transmission problems, SFA has you covered. 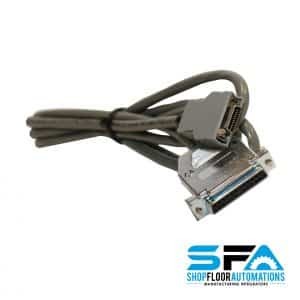 SFA did one better than co-develop the most reliable and powerful RS232 cable available (worldwide), they put together a system that provides customers with an entire cable solution. You won’t have to worry about properly terminating new cable ends to match your controllers RS232 pinouts. No longer will your maintenance department have to run around trying to find a replacement cable in an emergency. Since different style CNC machines need different wiring, CNC Serial Port Adapters are used. 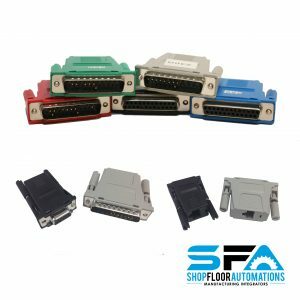 CNC Serial Port Adapters are color-coded and designed to eliminate soldering, crimping and customized wiring. 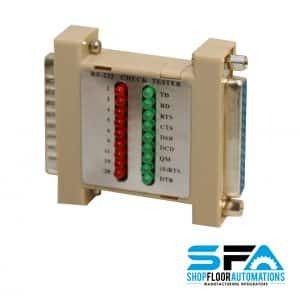 CNC Serial Port Adapters are RJ45 to DB25 adapters with standard color-coded machine specific wiring. Since all of the wiring logic is included in the Machine Adapter, machines can be moved and a different Machine Adapter can be plugged in at any time. The simplicity of the system allows maintenance departments to stock components and quickly solve a wide range of wiring problems with a standard color-coded wiring scheme. Each of our Honda Cables are made in-house by a trained technician. Fanuc technicians even call us to buy these cables!